You want to know the answer to flawless skin, well we believe it’s in finding the right skincare products for you. Vitamin C is essential for the development and repair of body tissue. That includes the formation of collagen, which ensures your skin will stay youthful for longer. Serums glide onto the skin and absorb well, leaving a luminescent glow that lasts for hours, while hydrating the skin. 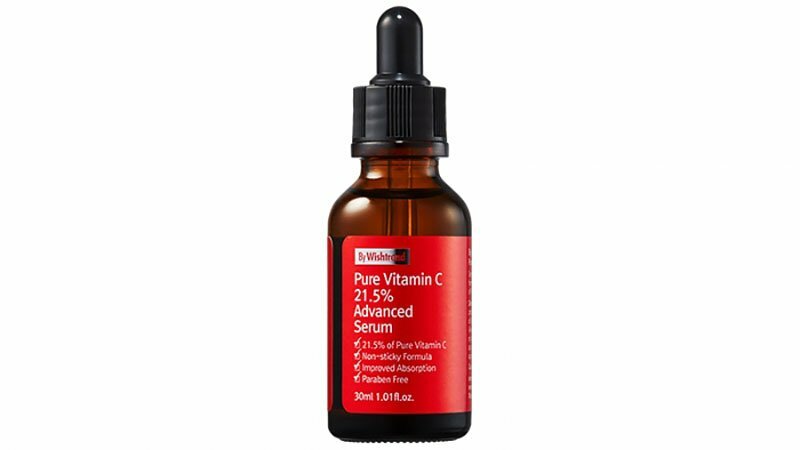 So if you’re looking to add Vitamin C serums to your beauty routine, here are the eight best products that are recommended by beauty experts. 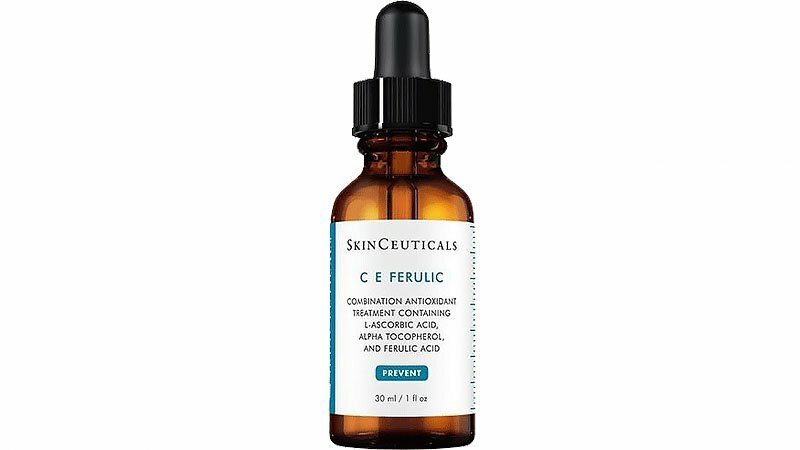 If it’s youthfulness you’re looking to accomplish, then Skinceuticals C E Ferulic is your answer. This serum delivers advanced environmental protection while also improving the appearance of fine lines and wrinkles, due to a lack of firmness, and brightens the complexion of the skin. 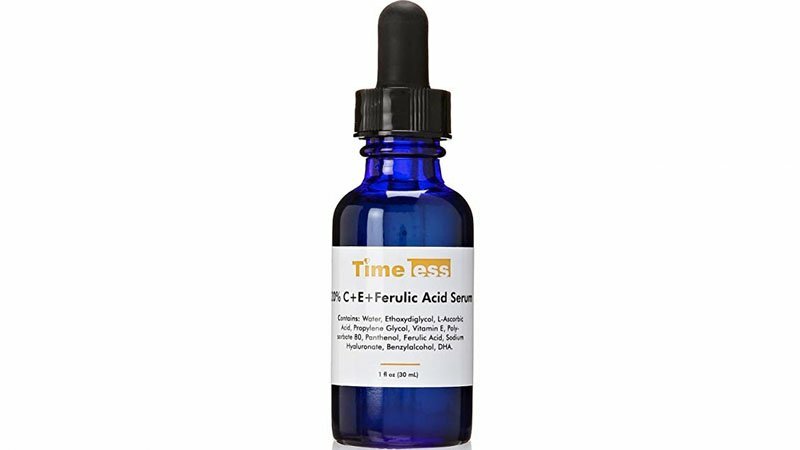 With 15% vitamin C, 1% vitamin E and .5% ferulic acid, the serum fights against damage caused by UVA and UVB, infrared radiation and ozone pollution. Once absorbed into the skin, this serum can work for up to 72 hours. 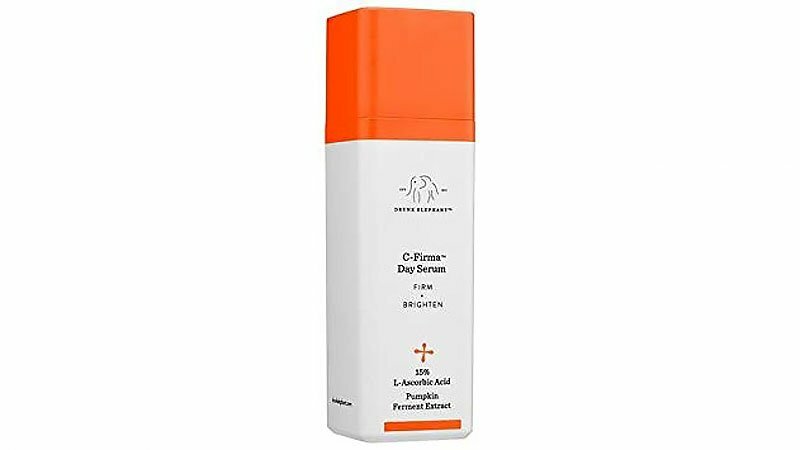 If you’re on the hunt for a serum that does everything, then Drunk Elephant is your prey. Their amazing C Firma serum rejuvenates dull, lifeless skin and rewinds years of sun damage while neutralising pollution and other environmental stressors. Made with vitamin C, powerful antioxidants, essential nutrients and fruit enzymes such as pumpkin ferment and pomegranate extracts, this product targets UV damage, encourages cell renewal, promotes collagen synthesis and rehydrates the skin until it reaches a firm, even complexion. The serum also reduces dark spots and dissolves dead surface cells for smoother skin. This miracle serum by Wishtrend contains pure vitamin C to improve dull, lifeless skin, any discolouration, and the tone and texture. This formula also fights against acne scars, while brightening your complexion. The serum is 100% free of parabens and other harmful ingredients, making the product feel like silk against your skin while decreasing any irritation. It’s formulated with ten essential ingredients for fast and effective results. 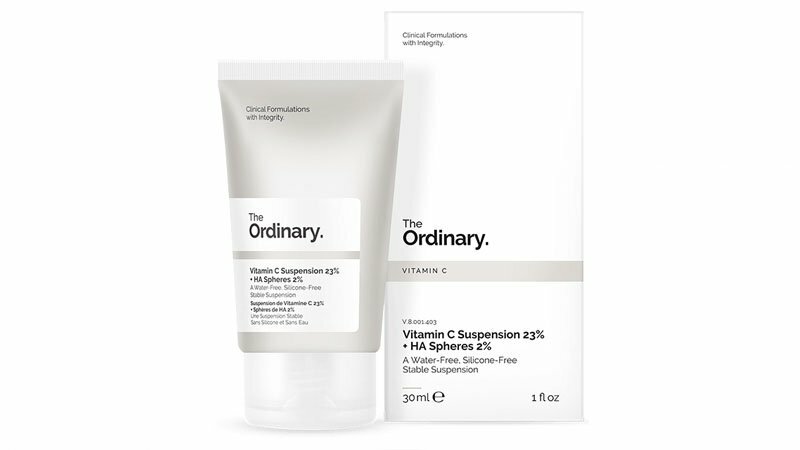 The Ordinary’s Vitamin C serum is water and silicon-free. Vitamin C, in it’s purest form, is also known as L-Ascorbic Acid, which is known to reverse signs of aging while also brightening the skin. When water is absent from L-Ascorbic Acid, it can remain completely stable. Also, with the addition of dehydrated spheres of Hyaluronic Acid, one of the main components of connective tissue that forms a gelatinous matrix around the cells, the serum visibly smooths the surface of the skin. 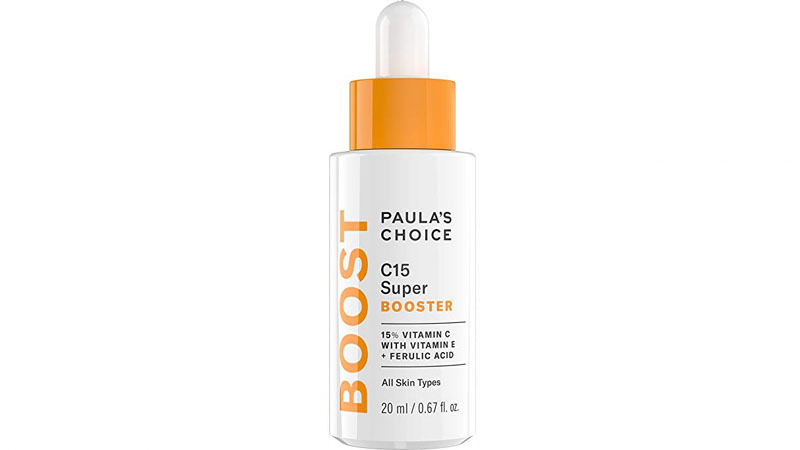 You can use this C15 super booster alone, otherwise, you can add a couple of drops to your moisturiser. Paula’s Choice, Boost works best when it’s used once a day as part of your morning skin care routine, to achieve your daily dose of vitamin C. The product not only visibly brightens your skin but also improves the appearance of uneven skin tones and lessens the environmental impact. The vitamin C, combined with other replenishing antioxidants and skin-smoothing peptides also has the power to diminish any visible signs of aging for firmer-feeling skin. This award-winning serum helps to tighten, brighten and smooth the skin with a blend of antioxidants that work together to replenish sun damaged skin, while also reducing any signs of discolouration or blemishes. 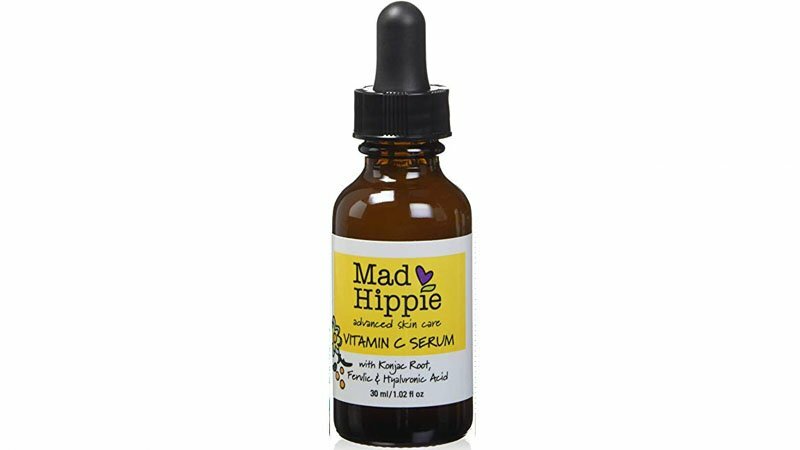 This thoughtfully made serum is formulated with vitamin C, vitamin E, ferulic acid, hyaluronic acid, konjac root powder, grapefruit, chamomile extract and clary sage. It’s 100% natural, vegan, GMO and cruelty-free, making it the perfect product for everyone. In fact, this serum received a ‘super safe’ rating of 1 by the Environmental Working Group’s Skin Deep. If you have normal to oily skin, then this serum is perfectly formulated for you. It has a high concentration of L-ascorbic acid, also known as vitamin C and helps to reduce signs of aging. 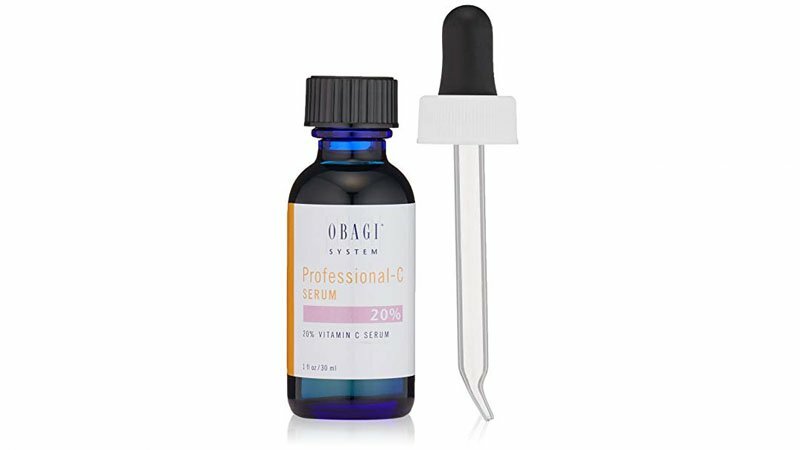 Obagi’s Professional-C serum is also easily absorbed into the skin, leaving it feeling silky smooth and more youthful than ever. Timeless Skin Care’s serum is paraben, fragrance and cruelty-free, nor are any colours or dyes added to it. Therefore, this is the perfect product for those with sensitive skin. Simply apply 2-3 drops, evenly to the skin in the morning so that the serum can feed your skin vitamin C, throughout the day, while also building your levels of collagen and evening your skin tone.